Subscribe to Bombay Extra Dry, Like www.facebook.com/BombayExtraDry , Follow @BombayExtraDry. All images are my own, unless otherwise stated. 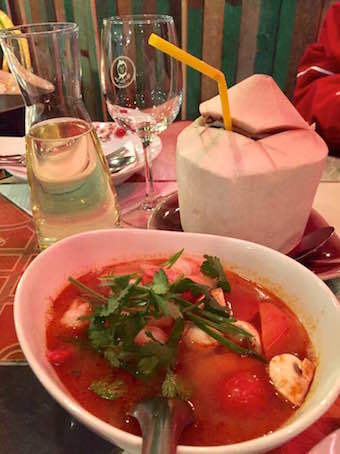 The perfect blend of spicy and sour in this Tom Yum soup with prawns. Fresh tomatoes, mushrooms, lemon juice, and coriander adds to the home cooked authenticity. Pair it with fresh coconut water and a half a carafe of house wine, and you've got yourself a perfect meal for one. Nothing on this menu disappoints! Mr Nice Guy, 10 Healeys Lane CBD, opens weekdays for lunch and dinner and Saturday for dinner only.